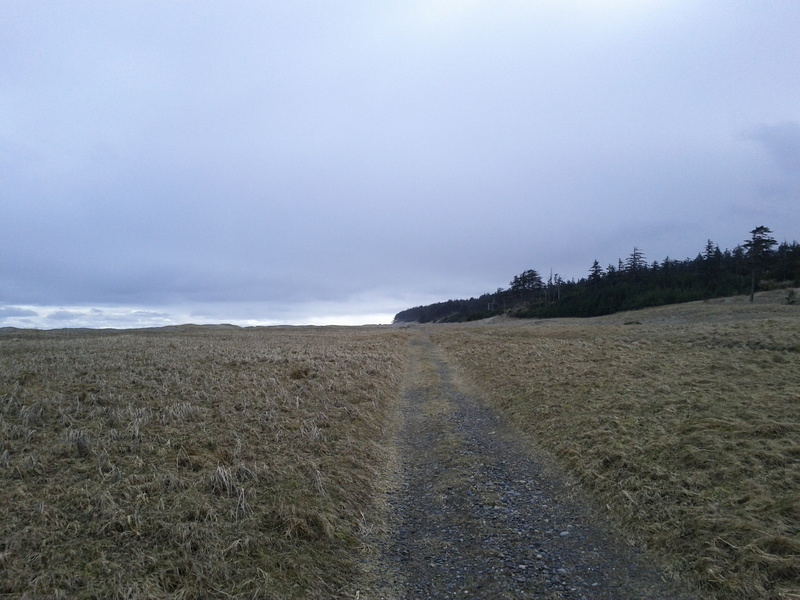 This past weekend I walked out to Cape Fife via Rose Spit at the North-Eastern corner of Haida Gwaii. I started my day with Thomas, Alysha, Jack, and Cory. 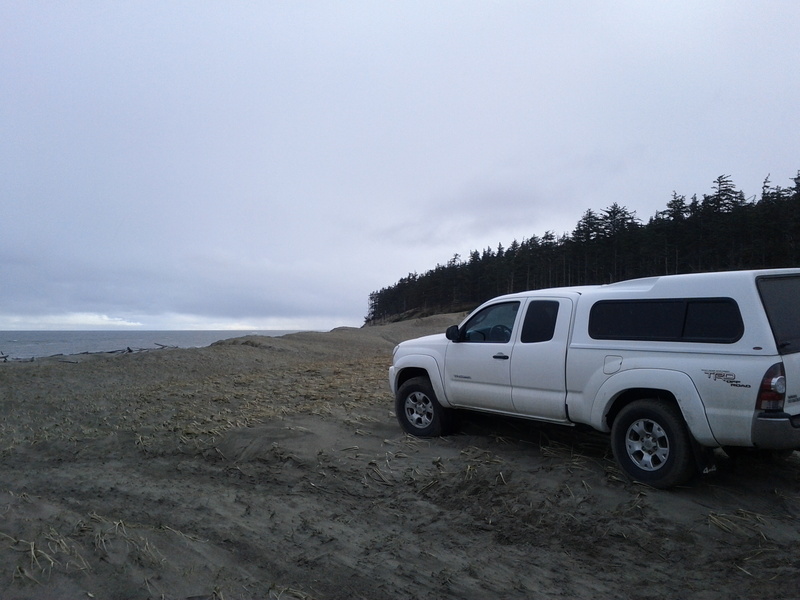 They were driving a truck out as far as the beaches would permit so I threw my bag in their vehicle and set out on foot at 11:30 am from Tow Hill. Walking was certainly going to take longer, but my senses are not usually fast enough to really take stuff in if I am travelling faster than about 15 km/h. Fortunately my walking is nowhere near that speed. 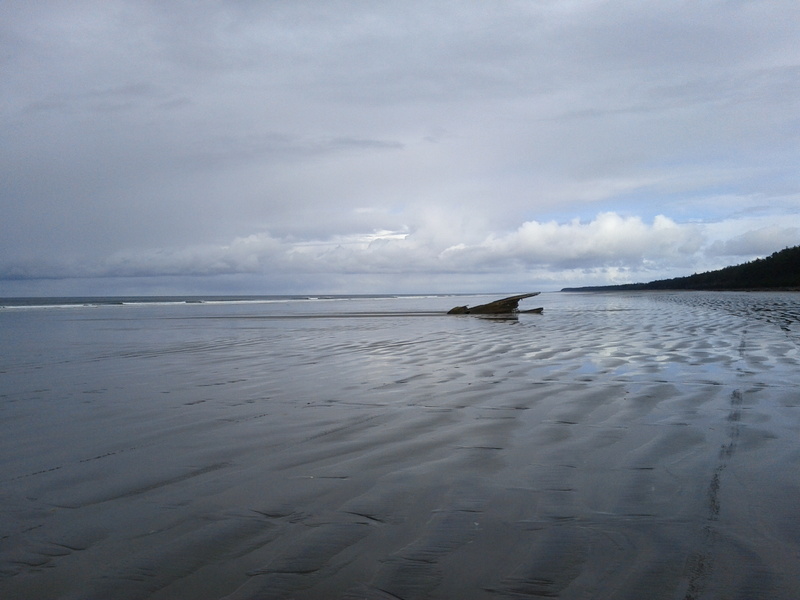 After about 50 minutes I reached the wreck that Clark and I visited a few weeks prior. 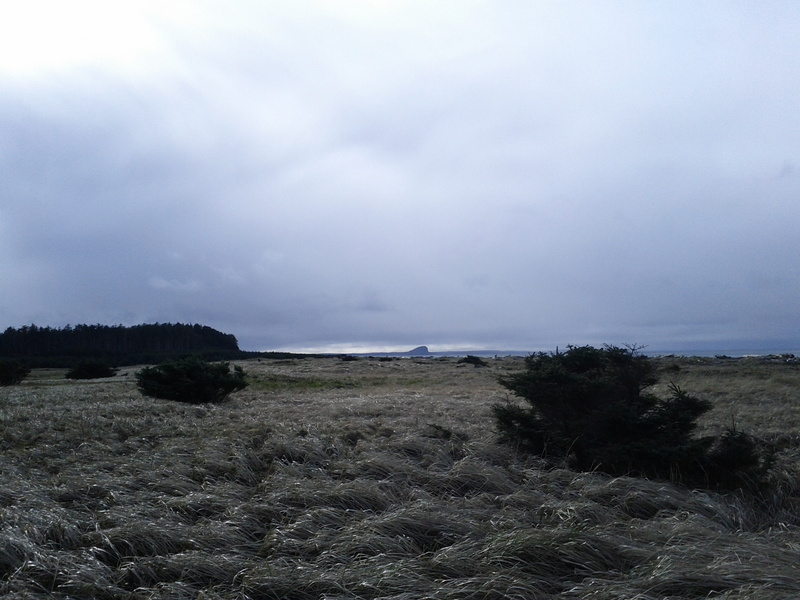 My waypoint, Rose Spit, can be seen in the distance. 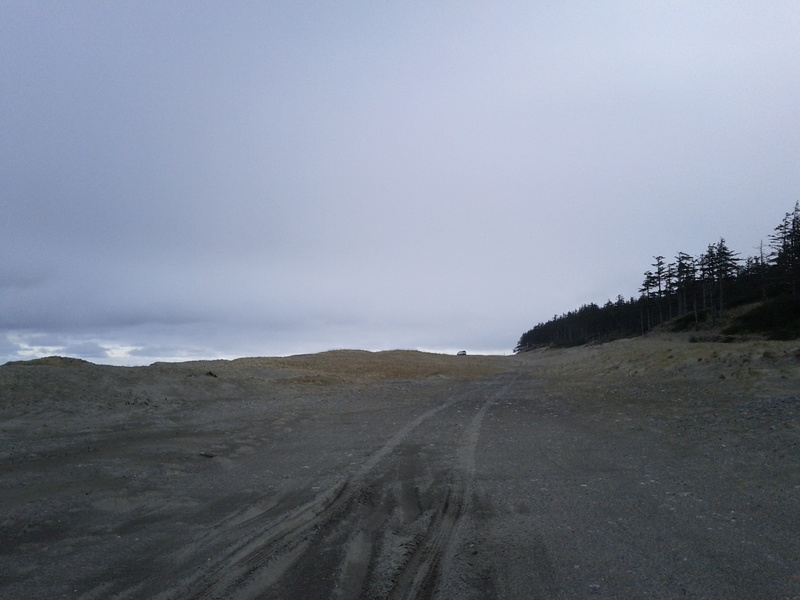 The walk from Tow Hill to the radio towers on Rose Spit is about 13 km. I got there eventually. 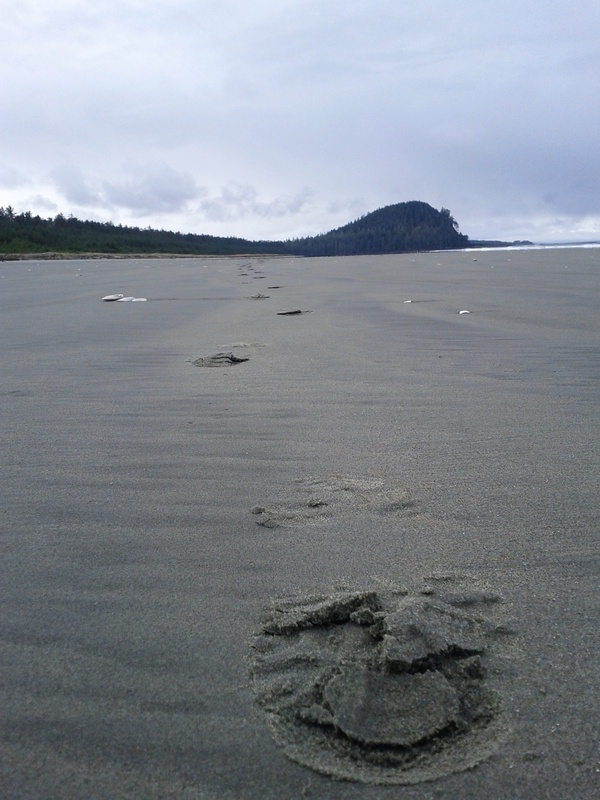 At the radio towers I was able to pick up the road my peeps would have used and began the march down the other side of the spit. Now, rather than walking along the Dixon Entrance, I was walking along the Hecate Straight. The truck was parked at the 16 km point. I arrived about 2:30 pm and was pleased to have access to my bag along with the snacks and water it contained. The view beyond looks like more of the same, but now I get to carry my stuff. End of the road. Now it is time to haul my gear. 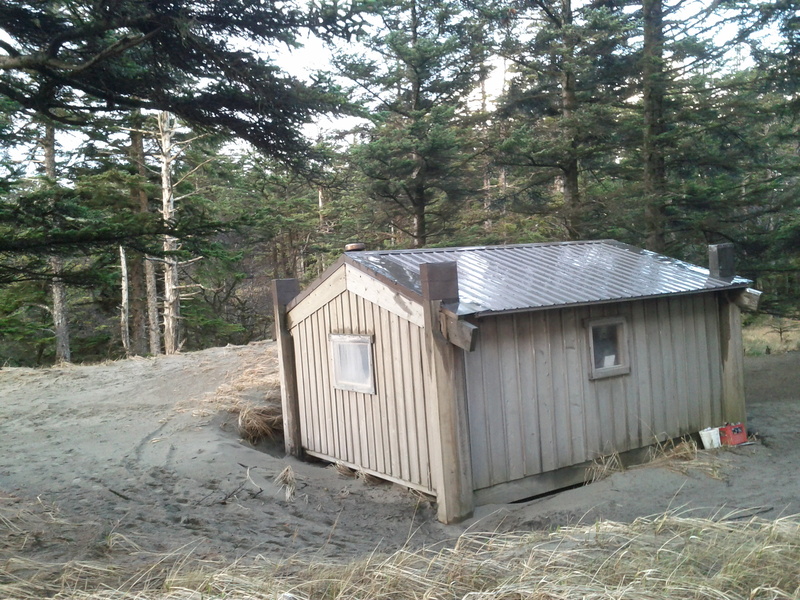 5.5 km later, I reached the Cape Fife shelter. I got up just before sunrise to watch our star crawl over my unusually flat and unobstructed eastern horizon. It was awesome. 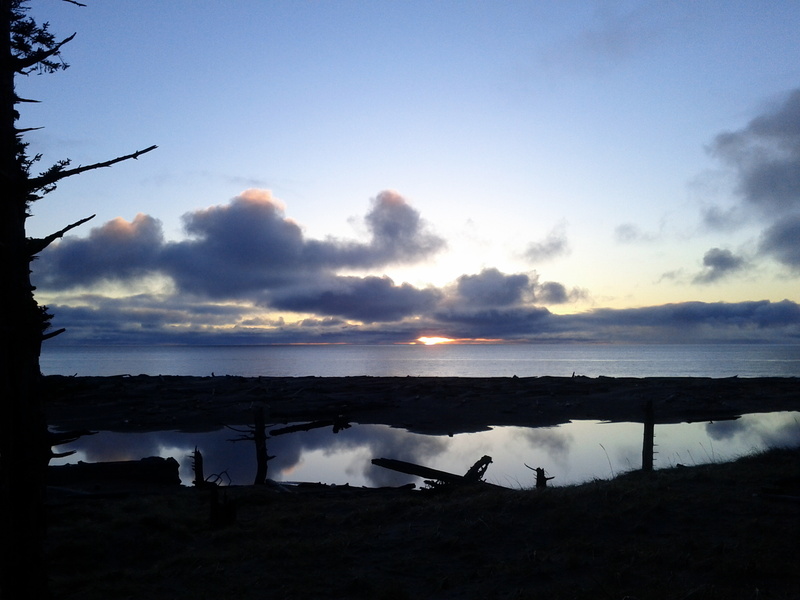 This entry was posted in Adventures, Haida Gwaii and tagged Alysha, Cape Fife, Cory, David Scott, Dixon Entrance, Haida Gwaii, Jack, Kelly Ruth, Naikoon Provincial Park, Rose Spit, sunrise, Thomas, Tow Hill. Bookmark the permalink. I have loved reading your blog lately. I can’t wait to see some of the things you’ve been seeing, in real life.